All of our wedding and engagement rings are handcrafted, so please be aware they may not always look exactly the same as the images on the webpage. Most of our images in online shop are professional, so some gold alloys could look little different from the reality. If this causes concern, then please contact our customer service, who will be happy to discuss your requirements with you. Nevertheless, you don’t have to be concerned about the high quality of our products. All our prices are including 19% VAT. We guarantee that all our prices are clearly displayed and that there are no hidden conditions. The final amount payable will always be shown at the check-out before payment is made. By placing an order through our website, you are offering to buy the ring at that price. In the event of human or technical error in our webpage technology, the prices on the site do not commit us to a sale. In the event of a customer having purchased an item online at the incorrect price, we reserve the right to return the full amount paid and cancel the purchase. Please note that discount vouchers can not be used with sale items or other discounts. In the event that a voucher code is used for a sale item, your order may be cancelled. We accept payment by PayPal, bank wire or credit and debit card. All credit/debit card payments must have a matching billing address, but you can choose a different delivery address for all cards except AMEX. We are unable to accept payments that have not been 3D secure checked by your bank. This is a standard security check that banks offer on all online card payments, which verifies that the user of the card is in fact the owner of the card. However, we are aware that some banks do not enforce the use of the 3D secure system. In these cases, when a card is used and does not meet the check, we have to ask our customers to pay via an alternative method or to pass the 3D secure check with their bank using another card. It is effectively a method of protection for both parties. 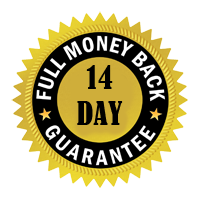 We offer a money back period so you can cancel your order and return your ring up to 14 days from the date of receiving the item if it is not as expected. If you wish to cancel your order and return it for a refund, please contact us before that either by telephone or email. The purchaser will not be refunded any relevant shipping costs and will be responsible for returning the ring to weddingrings-gold.com. The item must be received back in its original condition, with all original documentation if applicable. Refunds/exchanges may not be authorised for bespoke items, engraved items, and rings sent back more than 14 days after they were received. When we do accept items back after 14 days, they will usually be subject to administration charges. We will also not refund if it is evident that more than one ring was purchased with the express intention of choosing between them and returning one for a refund. If there are signs of wear on a returned item, charges may apply to re-polish the ring. Refunds will be made only by PayPal. In some cases, we will contact you before we manufacture a ring, to discuss what we can do to ensure the ring will be suitable and therefore not returned. This is especially likely if the item is of high value. We reserve the right to exclude items from the 14-day refund policy, and will always contact you prior to manufacture if this is the case. We believe in the quality of our products and will correct any manufacturing defaults during the first 24 months. A ring will not be considered to have a manufacturing fault if it shows scratches more quickly than anticipated, with no exceptions. Even the hardest metals may show wear and tear from contact with everyday objects. We strongly advise you to insure all high-value items, especially those with diamonds. We will not replace a dislodged or lost diamond free of charge. Your guarantee is invalidated if you allow a third party to resize or otherwise work on on a piece of jewellery we have made for you. All of our relevant jewellery is hallmarked by an independent authority. Our wedding and engagement rings will be delivered to you with the respective high quality certificate. All of our diamonds are conflict-free. We use only DHL and DPD courier service and all the items sent by us are fully insured until delivered and signed for. After that they are the customer’s responsibility. We strongly advise customers to use this service in the event of sending any valuable items in the post either to us or any third party. Recorded delivery should not be used for sending jewellery. Any item received by a customer without us first receiving full payment remains our property until all monies have been received.